ATHENS — Greece has been expected to present its international creditors with a series of reform measures, in a further step to improve relations between Athens and Brussels in negotiating a loan deal. Technical experts from the Euro group were to meet with the Greek delegation on Wednesday before a meeting of the so-called Brussels group -- representatives from Athens and its European and IMF creditors -- in the Belgian capital on Thursday, according to the Greek government. 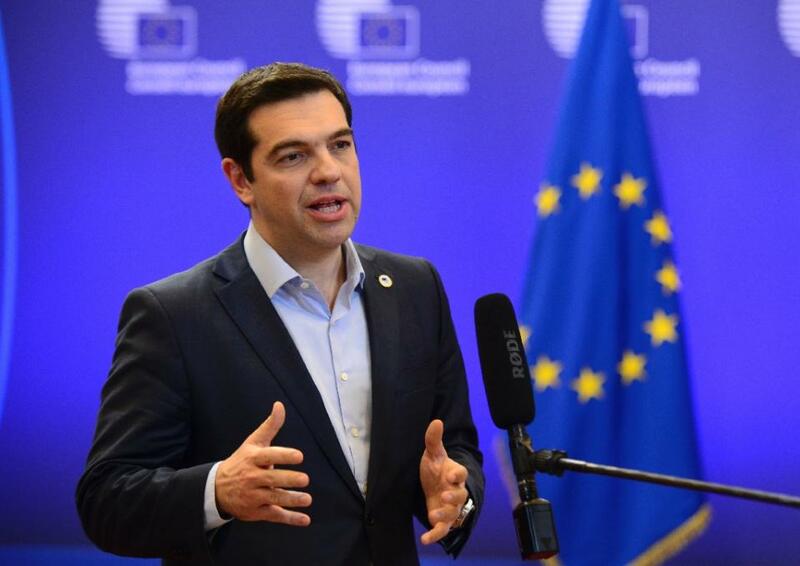 Prime Minister Alexis Tsipras's government has said it is hoping to conclude by early May a deal with its creditors that would unlock some 7.2 billion euros still left in the country's EU-IMF bailout package. After a Eurogroup meeting of finance ministers on Friday in Riga ended with no results, Tsipras on Monday shook up the negotiating team by naming moderate economist and junior foreign minister Euclid Tsakalotos as the chief negotiator. Tsipras had moved to ease the tensions caused by Greece's maverick Finance Minister Yanis Varoufakis whose swaggering, abrasive style has annoyed his eurozone peers. According to the daily Kathimerini, Greece has put together a series of reforms which could bring in 1.3 billion euros. It anticipates increasing revenue for example through higher taxes on the very rich and luxury goods and the sale of TV licences. It also plans a more effective fight against the black market. But the list appears not to address contentious topics such as the liberalisation of the labour market, raising the value-added tax (VAT) or the thorny issue of state pensions, all of which have been pushed by the International Monetary Fund. EU officials have warned Athens that the situation is "urgent". While speaking positively of Athens' new negotiating team as appearing "more coherent, as more prepared to engage in reforms," EU Economics Commissioner Pierre Moscovici said on Wednesday so much time had been lost in earlier clashes with defiant Greek negotiators that it had now become "urgent" for the new group to reach a deal. "I want results. I note that this negotiation, which is now under a more positive light, is still not finished." he said. The acrimony in the negotiations has been blamed on Varoufakis who defended himself in an interview with a German newspaper, insisting he was still in charge despite the recent shake-up. "Yes, I'm in charge. I'm still responsible for the talks with the Eurogroup," Varoufakis told the weekly Die Zeit in an interview to be published on Thursday. "I'm supported by various government members, not least by good friend Euclid Tsakalotos. The fact that some media are portraying as if he is replacing me in the talks is just another proof of how low journalistic standards have sunk," he said. Some analysts saw Greece's reshuffling of its negotiators as a bid to placate its EU-IMF creditors. But others remain wary of possible manoeuvering by Athens to play the clock, and pressure its EU partners to accept a less rigid reform deal in order to avoid the potentially disastrous scenario of Greece defaulting and being forced out the euro in the absence of an accord. Moscovici dismissed that so-called Grexit scenario as implausible because "the EU wants Greece to stay in the eurozone."